Without a significant source of food or means to leave, Columbus’ expedition was in serious trouble. Luckily for his crew, he had certain astronomical tables with him, including the Ephemeris compiled by the German astronomer Johannes Müller von Königsberg, better known today by his Latin name, Regiomontanus. In this almanac, Regiomontanus predicted there would be a total lunar eclipse on March 1, 1504. (For Columbus beginning on February 29, 1504 in the Americas.) He also gave an estimation of what time it would occur, though this start time was based on Nuremberg, Germany time, so Columbus had to do a bit of guesstimating. Regiomontanus even included fairly accurate information as to how long the eclipse would last. 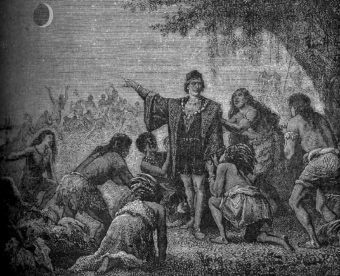 Armed with this knowledge, which Columbus was choosing to gamble would be extremely accurate, he called a meeting with the chiefs of the nearby tribes shortly before the eclipse was to take place. In this meeting, he told them his god was angry with them for ceasing to give him supplies. As a result, his god would take away the moon as a sign of his anger and subsequently punish them for their actions. The Indians observed this [the eclipse] and were so astonished and frightened that with great howling and lamentation they came running from every direction to the ships, laden with provisions, praying the Admiral to intercede by all means with God on their behalf; that he might not visit his wrath upon them… and promising they would diligently supply all their needs in the future. In any event, Columbus knew the moon would stay completely in the Earth’s shadow for around 48 minutes. Shortly before it would begin to emerge, he came back out and told the natives that he had asked his god to forgive them and god had acquiesced so long as the natives continued to cooperate with him. 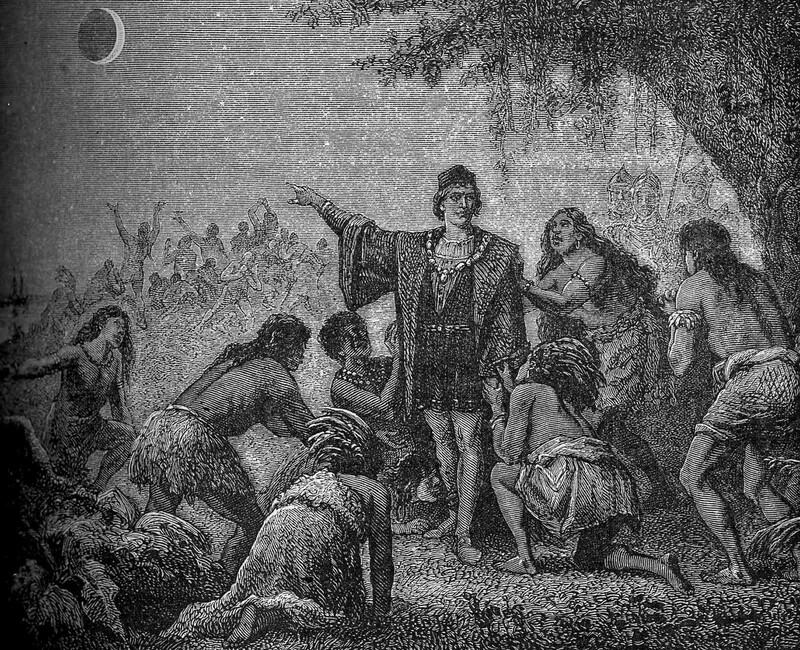 The moon began to reappear and Columbus no longer had trouble getting the provisions he needed. He and his crew were picked up a few months later when a ship from Hispaniola arrived in Jamaica on June 29, 1504. Late astronomy enthusiast Dr. John W. Campbell is noted as being one of the most unlucky eclipse chasers in history. One-time Head of the Mathematics Department at the University of Alberta, Campbell was a keen amateur astronomer and member of the Royal Astronomical Society of Canada (RASC), even serving as the society’s president from 1947 to 1948. The RASC notes that Campbell’s “boundless energy and steadfastness” were an inspiration to all those around him and he spearheaded numerous campaigns to secure prestigious lecturers, and even arranged a trip to Canada’s oft perilous Northwest Territories to view an eclipse first hand. All in all throughout the first half of the 20th century Campbell went on a reported 12 separate trips hoping to witness a lunar or solar eclipse. 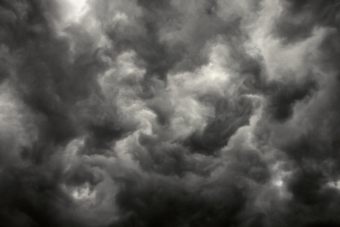 It’s noted that each and every time, the sky was too cloudy for him to see anything. 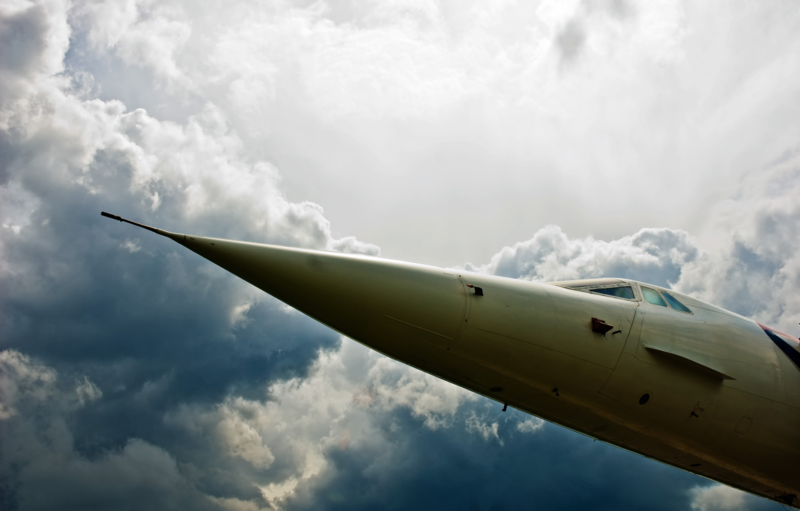 On June 30, 1973 a combined team of British, American, and French astronomers were able to experience the longest total eclipse in the history of humanity by chasing the shadow of the moon across the Sahara desert in an, at the time, prototype Concorde (001) aircraft. The proposal for doing this was rejected by the British Aircraft Corporation, but got the green-light from the French Aérospatiale after astronomer Pierre Léna appealed directly to French test pilot André Turcat; Turcat in turn convinced the higher ups at Aérospatiale to allow it. While flying under the shadow of the moon, the Concorde, which was modified with viewing portholes on the roof to facilitate the needed observation, maintained a speed of approximately Mach 2.05 (1,572 mph or 2,531 km/h) and an altitude of about an average of 56,000 feet (17,000 meters). This allowed the astronomers to study the various associated phenomenon of totality for an astounding 74 minutes, which is approximately ten and a half times longer than one could maximally observe that eclipse on the ground, at 7 minutes and 4 seconds in a region of the Sahara dessert. That latter figure, by the way, is only 28 seconds shy of the longest possible totality for any eclipse (observed from the ground). A solar eclipse on May 28, 585 BC ended years of conflict between two warring peoples, the Medes and the Lydians. The eclipse is thought to have occurred during a heated battle near the river Halys in what would today be central Turkey. It was seen as a bad omen by combatants on both sides and it’s noted it resulted in an almost immediate end to the battle and the war as soldiers threw down their arms, refusing to fight anymore. A treaty was quickly drawn up between the kings of both Medes and Lydia, mediated by the kings of Cilicia and Babylon, with the river Halys eventually becoming the agreed border between the nations. What makes this particular eclipse even more fascinating is that it may have been the first solar eclipse ever accurately predicted, though its predictor had been dead for about a half a century by the time it occurred. As, however, the balance had not inclined in favour of either nation, another combat took place… in the course of which, just as the battle was growing warm, day was on a sudden changed into night. This event had been foretold by Thales, the Milesian, who forewarned the Ionians of it, fixing for it the very year in which it actually took place. The Medes and Lydians, when they observed the change, ceased fighting, and were alike anxious to have terms of peace agreed on. There is some debate today, however, whether Herodotus, who lived almost a century and a half after Thales, was simply mistaken about this or it was just a lucky guess by Thales who it is thought by some, despite being one of the great thinkers in human history and ridiculously accomplished, could not have possessed the needed knowledge to predict such an event accurately. 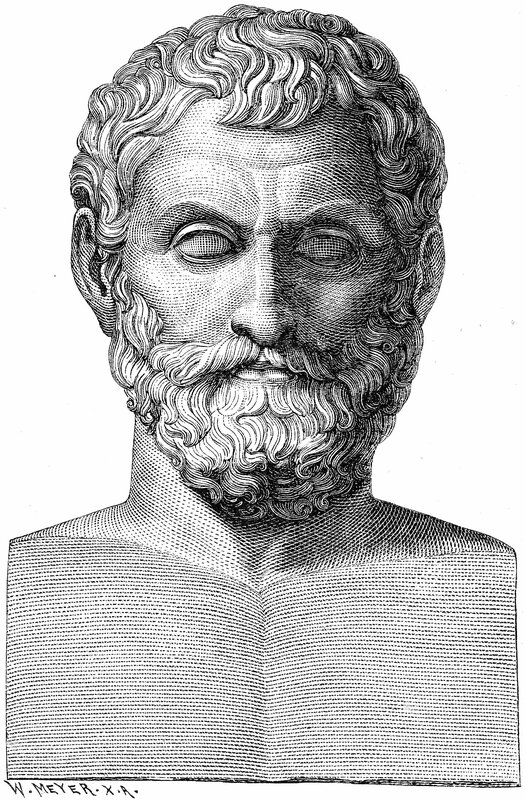 [Thales] seems by some accounts to have been the first to study astronomy, the first to predict eclipses of the sun… It was this which gained for him the admiration of Xenophanes and Herodotus and the notice of Heraclitus and Democritus’ (D.L. I.23). For reference, Xenophanes was born only a few decades after Thales died and Heraclitus was a teenager upon Thales’ death; both lived through the eclipse in question. It isn’t clear, however, how Diogenes knew the prediction of the solar eclipse is what earned Thales the “admiration” of Xenophanes and the “notice” of Heraclitus. For those in the camp that Thales really did accurately predict a solar eclipse all the way back in the 6th century BC, they note Aëtius stated, “[Thales] says that eclipses of the sun take place when the moon passes across it in a direct line, since the moon is earthy in character; and it seems to the eye to be laid on the disc of the sun’,” meaning that, if true, Thales at least knew what caused solar eclipses. He also may have had the knowledge of Babylonian, Assyrian, and Egyptian astronomers to draw from, the former two of which had previously been able to predict certain lunar eclipses thanks to their having some knowledge of what is today called the Saros period. That said, while today this can be used to predict solar eclipses and where they’ll occur, it’s generally thought it could not have been used in this way with the data they had available during Thales’ lifetime, unless the Babylonians and Assyrians perhaps had more knowledge of eclipses than has survived to today, potentially allowing Thales to come up with a way to predict the year and location of the solar eclipse in question. The debate rages on. The idea that the “Sun never sets” on a certain empire was first applied to the Spanish Empire in the early 16th century, with it being called “the empire on which the sun never sets,” alluding to its vastness. While this may seem a figurative expression, for some time now it has been literally true of the British Empire, despite its diminishing in size considerably since its peak. What does this have to do with eclipses? 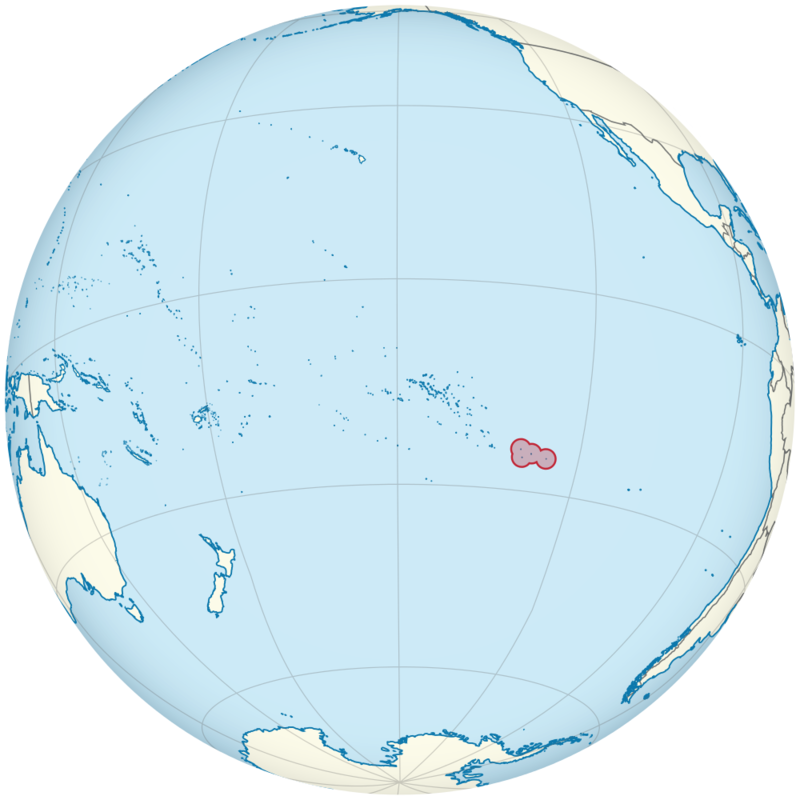 A key to this notion still literally applying to the British Empire is a set of islands in the south Pacific. Known officially as the Pitcairn Islands, these are, for about an hour each day, the only bit of the British empire onto which the sun is still shining. As noted by former NASA engineer and present day famed cartoonist Randall Munroe, assuming the British empire keeps all its present territories in the interim, a total solar eclipse over those islands will many millennia from now break the streak. However, Munroe notes no total eclipse of the region in at least the next one thousand years will cause this, with the next scheduled such event on the islands, which will occur in April of 2,432, occurring at a time of day in which the sun will still be shining elsewhere on the empire. Crisis averted. It is a commonly repeated supposed fact that Galileo went blind in his advanced age as a direct result of years of studying the sun directly through a telescope. In reality, scientists had been taking steps to ensure no such issues for hundreds of years before Galileo. The reality is that Galileo is believed to have gone blind as a result of cataracts and glaucoma and is known to have observed the sun using projections precisely to protect his eyes from its harmful glare. That said, although Galileo was smart enough to avoid looking directly at the sun, we do know of at least one other great mind from history who wasn’t and temporarily went blind as a result of looking directly into our neighborhood miasma of incandescent plasma. In the immediate aftermath, the result was a few minute’s worth of fascinating virtual blindness (the bright yellow orb still dominating my sight, despite no longer looking at it, and everything else appearing as vague shapes). My vision slowly recovered from there throughout the next hour or so and there were otherwise no perceived immediate ill effects. 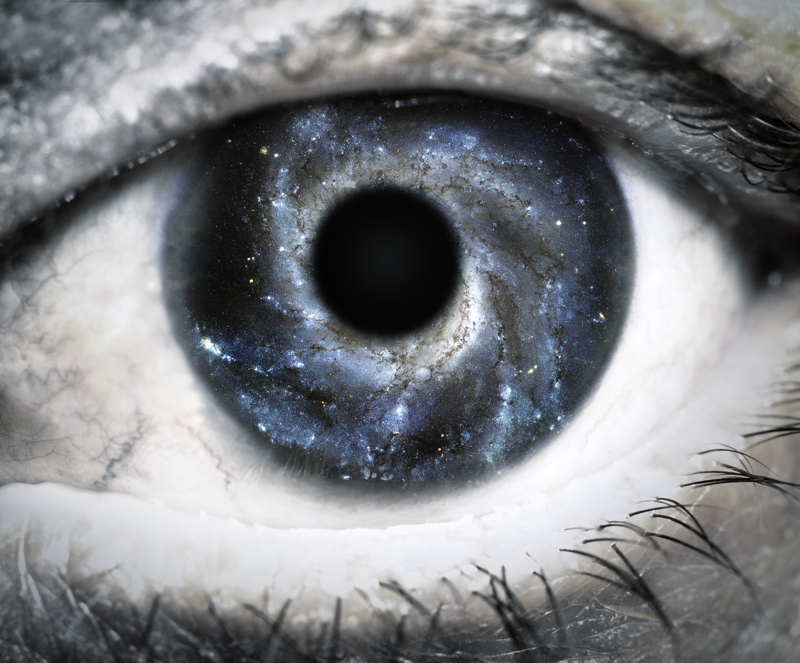 However, later that night, long after my vision had fully recovered, an excruciating ocular migraine manifested that resulted in the world rapidly strobing from abnormally bright to black, and myself quite literally writhing in pain for a few hours until the migraine slowly faded. This was followed by several days of mild pain in the back of my eyes while also being exceptionally sensitive to bright light for a few weeks; the latter would cause even more extreme, and very curious, physical eye pain when observed. Although, I am partially consoled today in the knowledge that a far greater mind like Newton more or less looked to conduct the same moronic experiment, despite being approximately a decade older and considerably more knowledgeable than myself when I made my attempt, all FOR SCIENCE! 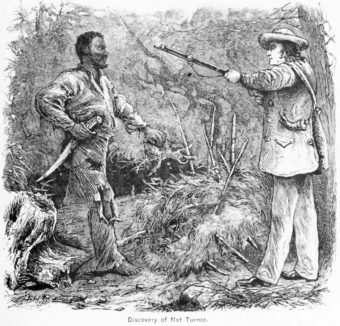 On February 11, 1831, a man called Nat Turner, who believed himself a prophet from God, observed an eclipse and, combined with recent visions he claimed to have had, interpreted it as a sign from God that it was time to rise up against those who held him in slavery. Any doubts about the eclipse having been a sign went away a few months later on August 13th when the sky was once again blackened. Turner was able to use these events to rally his fellow slaves to revolt on August 21st. Beginning with a small group, Turner and company started by killing his master, Joseph Travis, as well as Travis’ wife, and children (a nine year old and an infant). Over the course of the next 48 hours as they went from plantation to plantation, their numbers swelled to about 70 people, who in turn managed to kill around 50-60 men, women, and children in their bid for freedom. 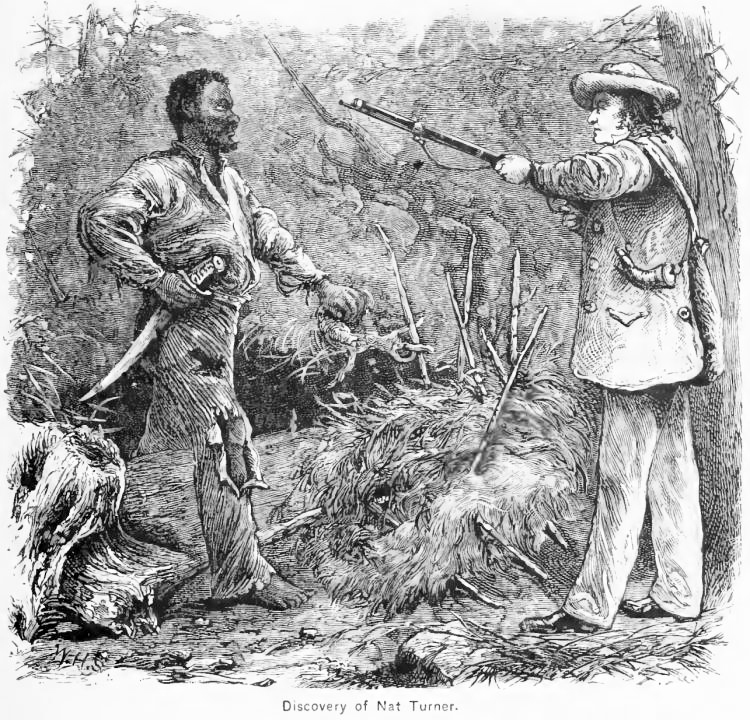 In the aftermath, beyond Turner himself being hanged, somewhere between 70-200 slaves were killed, some, whether they necessarily actually had anything to do with the rebellion or not, being tried in court and sentenced to death, and many others who had nothing to do with the rebellion becoming the victims of vigilantes. If this all wasn’t tragic enough, the burgeoning emancipation movement in the region abruptly died, including shortly after the Virginia legislature narrowly rejecting a proposal of gradual emancipation of slaves in the state. Instead, they sadly went the other way and, noting that Turner had been relatively highly educated and extremely intelligent, made stricter slave laws, including making it illegal to teach a slave to read and write. All was not lost, however, as in the North the abolition movement gained more support in response to the rebellion and subsequent added cruelty towards slaves. This all contributed to widening the divide between those who supported slavery in America and those who did not, helping to propel the young nation into Civil War some three decades later. Now, at this point you might be wondering what caused the second blackening of the sky that Turner took to be another sign from God following the eclipse. This baffled experts of the day, but today it’s thought it was caused by atmospheric ash released during an eruption of Mount St. Helens nearly 3000 miles away in Washington state. In what is generally considered the first state-supported scientific expedition by the newly formed United States, in 1780, during the height of the American Revolutionary War, a team of Americans led by Harvard mathematics professor Samuel Williams were seeking to travel to Penobscot Bay in Maine to observe an anticipated solar eclipse set to occur on October 27th. Though we are political enemies, yet with regard to Science it is presumable we shall not dissent from the practice of all civilized people in promoting it. Colonel Campbell ultimately granted Williams’ team limited access to the area requested, most notably they were not to set foot on the mainland (instead choosing to setup their equipment on Long Island). 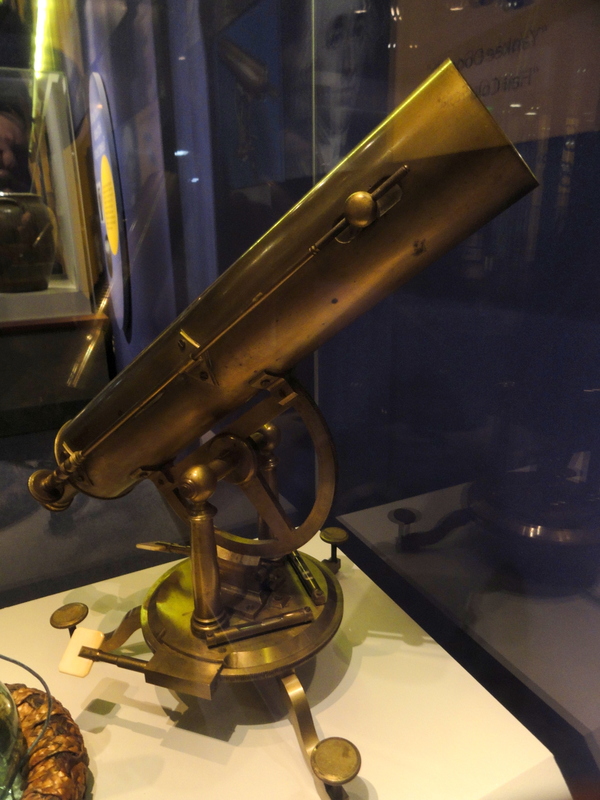 And so it was that after setting up five telescopes, several clocks, and other such equipment, Williams and his team eagerly awaited the event. Unfortunately, Williams miscalculated the eclipse’s “path of totality” and they only saw a partial eclipse. The result was that the path of totality occurred about 30 miles away from where Williams had anticipated. This phenomenon is caused by the sunlight shining through depressions on the moon in some places but being blocked by higher elevation points in others. About a half century later, this phenomenon would become known as “Bailey’s Beads,” when British astronomer Francis Bailey noted the same thing after observing an eclipse on May 15, 1836. Bailey also offered a correct explanation as to what caused these “beads” of light. About two Minutes before the Total Immersion, the remaining part of the Sun was reduced to a very fine Horn, whose Extremeties seemed to lose their Acuteness, and to become round like Stars … which Appearance could proceed from no other Cause but the Inequalities of the Moon’s Surface, there being some elevated parts thereof near the Moon’s Southern Pole, by whose Interposition part of that exceedingly fine Filament of Light was intercepted. The sun is actually white, not yellow. The reason it looks yellow to us on Earth is that our atmosphere scatters light from the sun; so the apparent color of it changes. This same scattering effect is why the sky looks blue in the day time instead of black, like at night. Specifically, what is going on here is the Earth’s atmosphere scatters light in the blue and violet wavelength range, so the remaining wavelengths of light appear yellow. This same effect is why the sky will also often appear yellow when the sun is disappearing over the horizon, as well as why the sky/sun can appear more red at times during this phase of the day. As the sun is setting, more of the shorter wavelength blue is being scattered because of the decreased angle of the sun relative to you; thus the light has to pass through more atmosphere to get to you. This increased diffusion results in less of the blue wavelength being visible to you and thus what remains appears yellow. Similarly, if it is dusty or there are a lot of other larger particles in the air, this will filter out larger wavelengths, resulting in a red sky and red sun. If you were to view the sun from space, however, (and wouldn’t burn out your retina doing it) it would appear white in the human visible spectrum. Where Did the 1780 Eclipse Go?